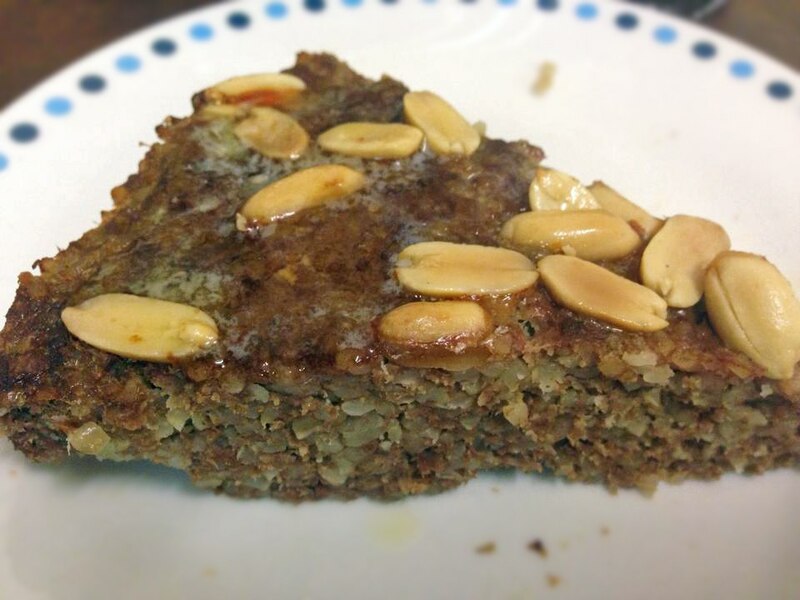 Baked meaty flan with peanuts. Yes, I know that sounds odd but it’s a variation on a Joscelyn Dimbleby recipe that’s really good. She uses minced lamb where I’ve used the cheaper beef option and I’ve substituted posh pine nuts with peanuts. It works out really well. Honest. Spices (whatever you have. I used the old favourites of paprika, fennel, chilli with a bit of cinnamon. Soak the bulghur in lots of cold water for 20mins, then drain and squeeze dry. Mix everything together – meat, bulghur, egg, spices, onion, salt. Squash it all into a cake tin or flan dish. And yes, I know I call it bulghar and not burghar but I’m an old Middle Easterner.